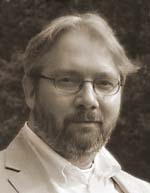 Welcome to the website of Dr Martin Gansten, practising astrologer and historian of astrological traditions east and west. Here you will find information about the history and practice of traditional astrology, personal consultations, courses, lectures and workshops, and more. Dont miss the opportunity to read a free chapter of the highly acclaimed Primary Directions: Astrologys Old Master Technique!